Spuds, potatoes, tatties—whatever you like to call them, have you ever grown your own? 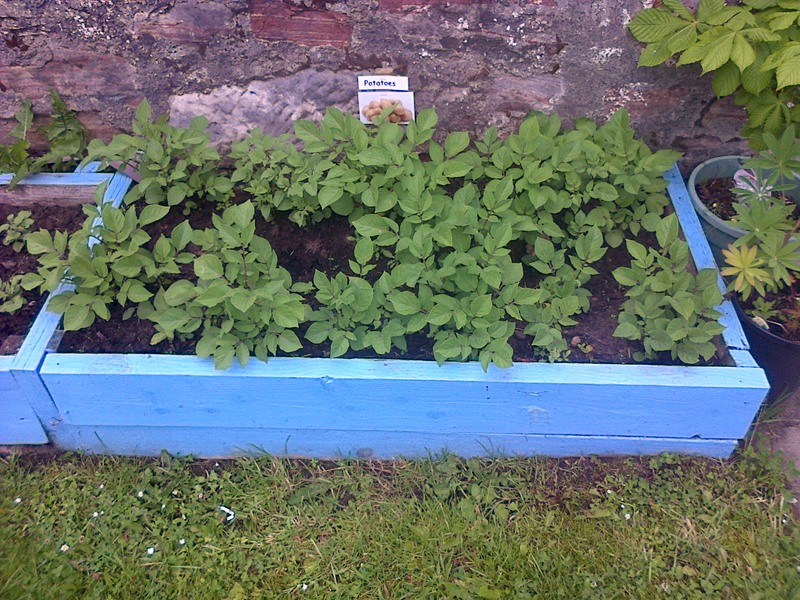 Soirbheas in partnership with the 3 local primary schools delivered a pilot project in 2015 to encourage more people to grow their own Tatties. The Tattie Project 2018 has been another great success with more organisations joining in and dozens of varieties grown in the community generating tonnes of locally grown potatoes! Over 2,000 seed potatoes (28 varieties suited to the Highlands) were distributed and sold across the communities, which in turn generate around 2.5 tonnes of potatoes. Schools and organisations involved in the project use the funds from the sales of seed potatoes and those that they grow to support other growing projects. For a list of the 24 varieties on sale please click here. For a brief description of each variety click here. Abriachan Forest Trust will be coming along to support the theme of ‘Live lightly on leftovers’. 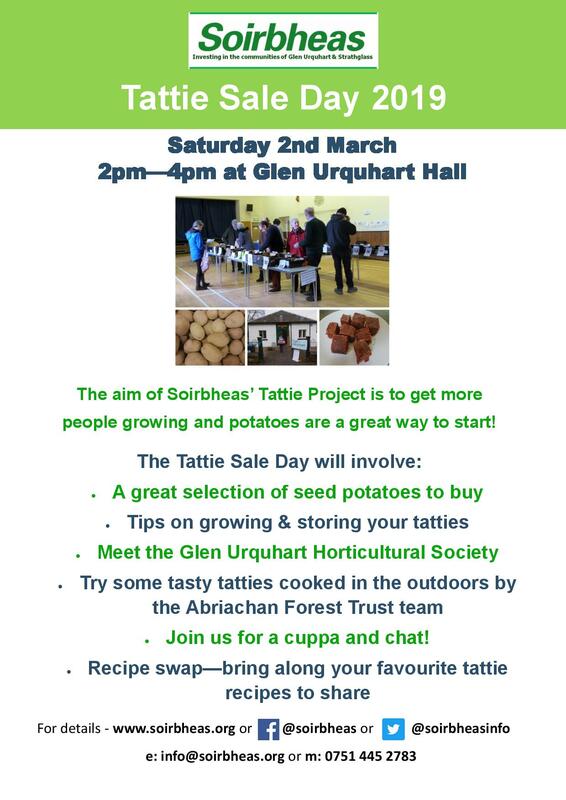 On their firepit outside the hall they will be cooking potato cakes and soup made from the last of the 2018 Tattie Day spuds which they grew!! Fact – Did you know? Potatoes are one of the major food waste groups. In Scotland, alone over 19,000 tons of potatoes are thrown away, largely due to poor storage and over buying. Tatties don’t like to be kept in the fridge as it converts the starch to sugar and makes them taste sweeter. For best results take them out of plastic bag and store them in a cool, dry, dark place; ideally in a cloth bag and away from strong-smelling foods like onions. If potatoes have sprouted, simply remove the sprouts before use, and remember to cut off any green or damaged bits before using. Use a potato peeler rather than a knife as this will cut down on waste. Or don’t peel at all; you can boil, roast or mash them with their skins on! Keep potato peelings to make delicious home-made crisps. Add salt and pepper then bake in a hot oven. Store leftover mash in the fridge until the next day. Use to make tattie scones, fish cakes or as a topping on a cottage pie. Leftover boiled potatoes can be added to an omelette, sliced and fried as an alternative to chips or made into a potato salad.